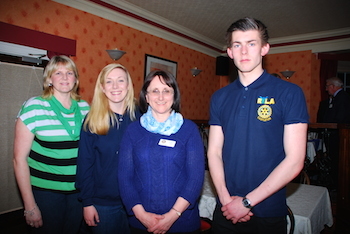 Rotary Club of South Cave & Wolds - welcome! Please scroll/swipe down through this page to find out more about us, in addition to the pages linked in the menu, top-left. We have supported the local inshore lifeboat at Hessle regularly in return we are always welcome to take a splash with them on the River Humber! 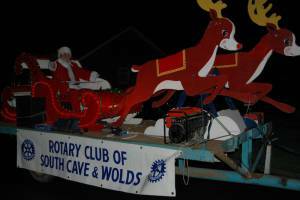 A major fundraising event is touring the village each Christmas with Santa on his sleigh. 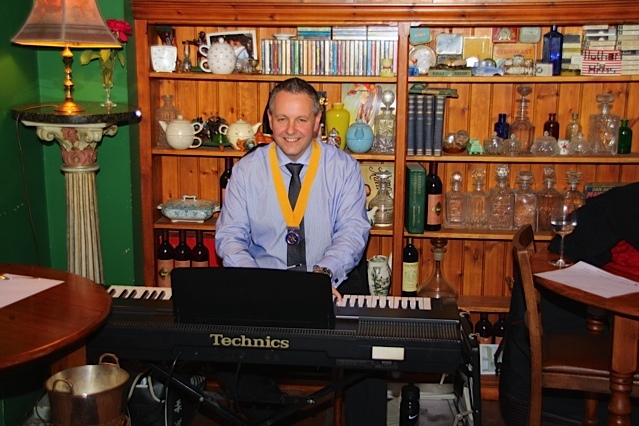 We play carols and visit as many homes as possible. 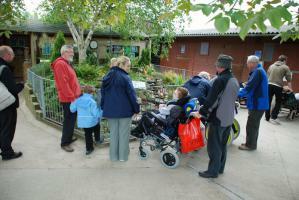 The visit is eagerly awaited by both children and adults alike, and we Rotarians have a great time too! 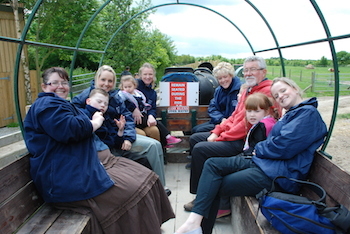 We have close links with St Anne's Special School, Welton. We take a party out each year as part of Rotary's national "Kids Out" day. 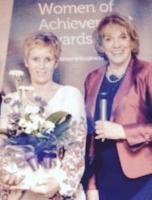 Our very own Lesley Davis receiving her Women of Achievement Award. 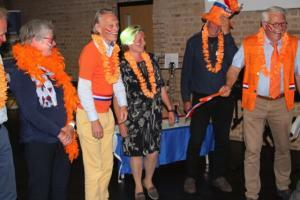 As a club we are twinned with the "Assen Noord" club in Holland. 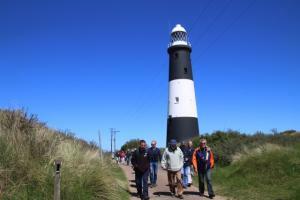 They visit us regularly and we are entertained by them on our return visits. Xmas collection Dec. 2018: The total raised was almost £3900. Over £200 more than last year. Many thanks to those who collected and those who gave. Procedes will help a number of deserving local charities in 2019 including our main partner Mires Beck: www.miresbeck.co.uk. 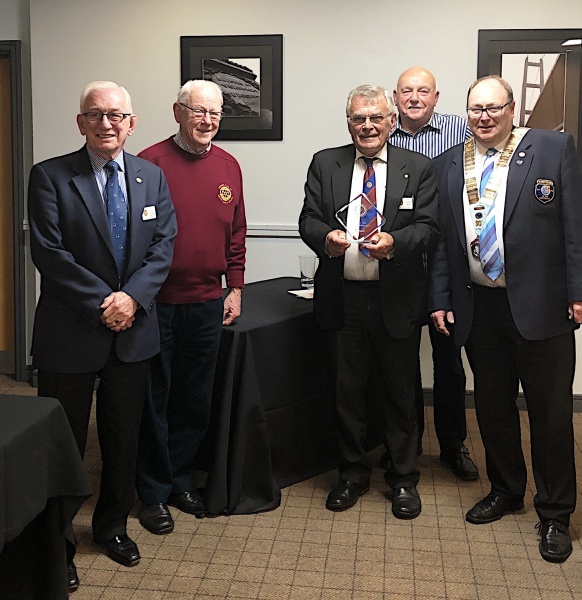 South Cave & Wolds Rotary Club meets at the Half Moon at Elloughton on Wednesdays at 7.30 pm for a very good 3 course meal followed by a speaker or other activity. 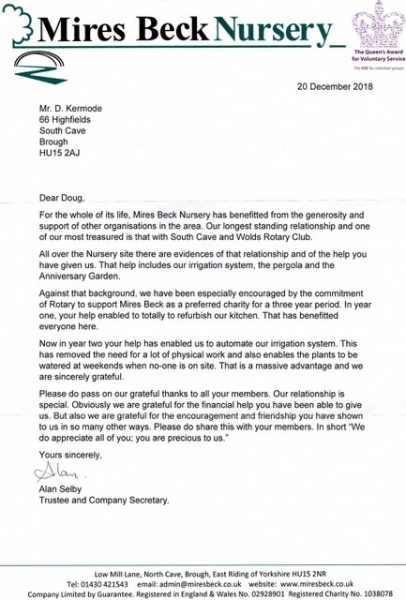 We are a small friendly club, chartered in 1991, which makes the Rotary Ideal of Service before Self, fun. 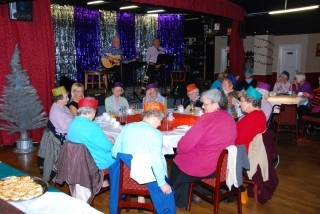 We work to raise funds and support for local, national and international communities. We're for communities, local, national and international. We help people and have a good time doing it. So If you are looking to give something back, Rotary is the organized way.